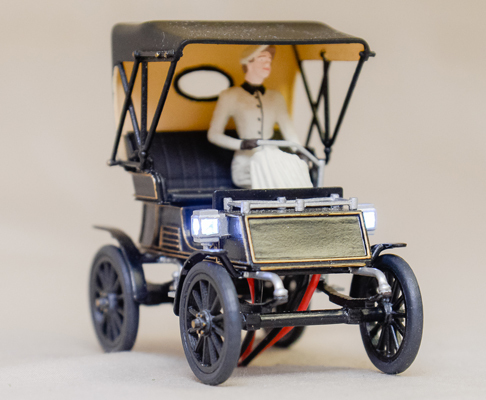 At the end of 19th century - beginning 20th century the car manufacturers introduced electric vehicles. 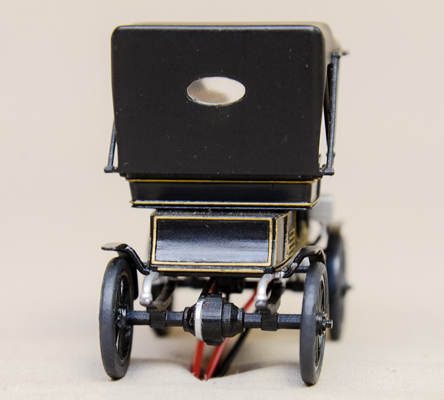 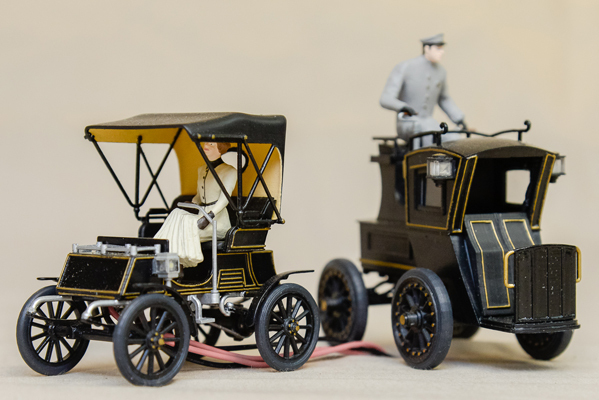 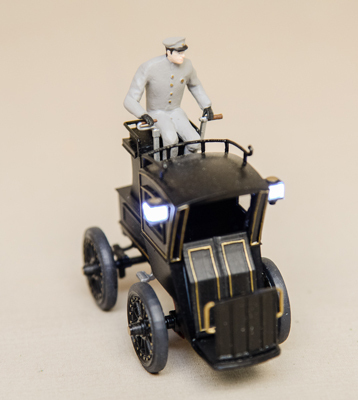 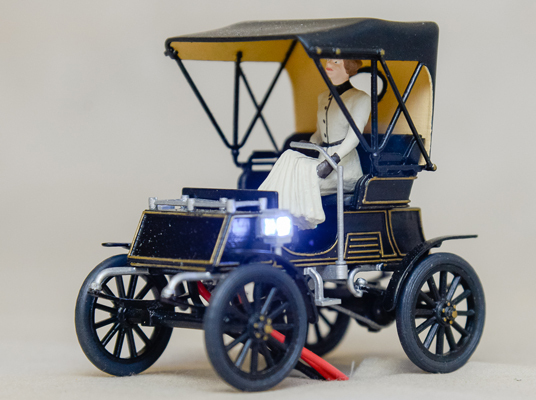 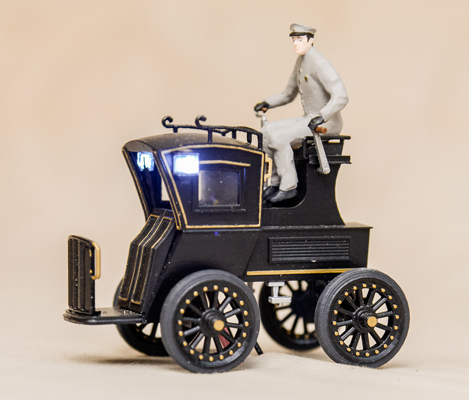 We were commissioned to create 1:32 scale models of 1903 Columbia Electric Runabout and circa 1897 New York Taxi for a historical diorama. 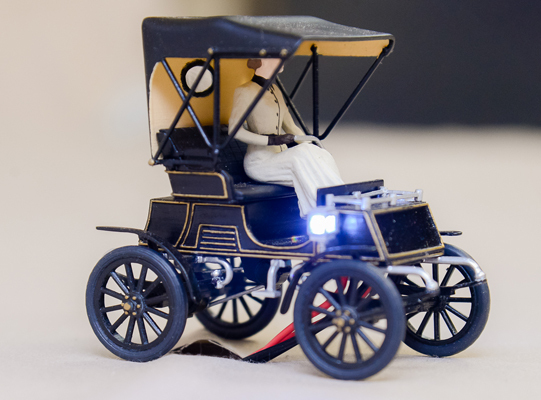 Both models were developed in 3D software, 3D printed and manually assembled and finished. 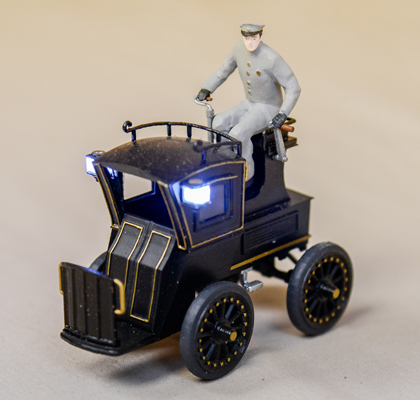 The models have working LED lights.